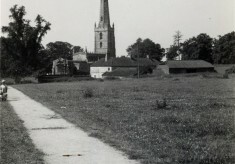 Mr Stanley Blackmore is the son of the late Canon Alfred Blackmore, who was Rector of Bottesford until he retired in 1958. 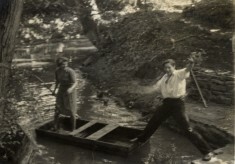 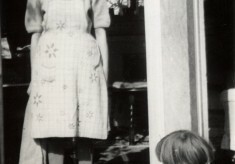 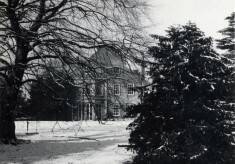 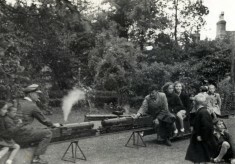 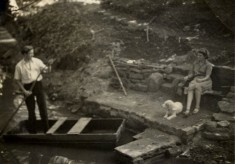 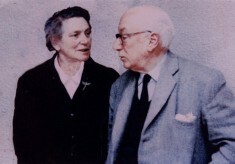 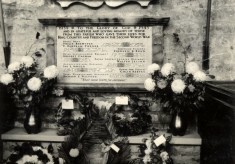 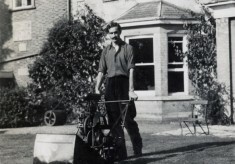 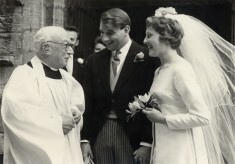 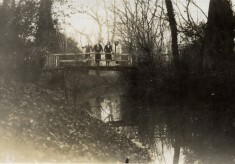 The thumbnail picture of Canon Blackmore was taken in 1964, when he returned to Bottesford to conduct the marriage of Mary Topps and Malcolm Owen – see image BOT/203/14. 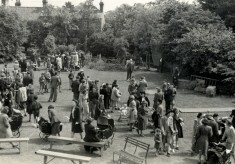 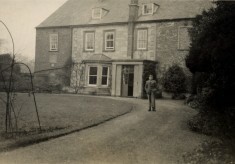 Mr Blackmore has kindly contributed these pictures from 1943, taken at the Bottesford Rectory (refered to as the Old Rectory in this catalogue), and at Bottesford Parish Church. 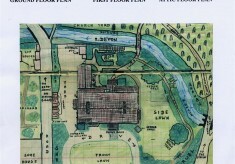 He has also contributed a sketch plan of the Rectory as it was when he was growing up there. 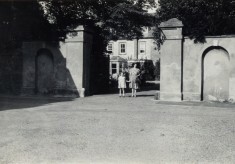 The Rectory showing the East elevation, through the foliage of the Copper Beech with the swing. 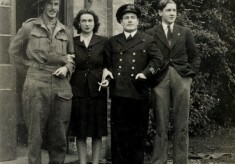 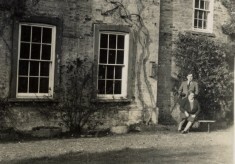 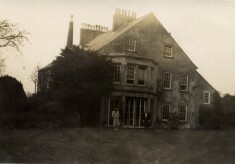 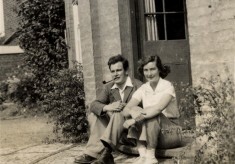 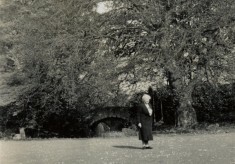 Mrs Fanny Blackmore and Courtenay Blackmore, Mr Stanley Blackmore’s elder brother, outside the east elevation of the Rectory. 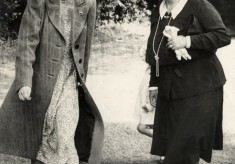 This picture follows on from BOT/203/11 – ” … prior to an unintended bathe!”. 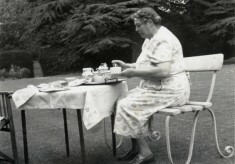 Mrs Fanny Blackmore is taking tea on the lawn of the garden at the Rectory in Bottesford.